Saturday, August 24 - Tuesday August 27! Registration for Inbound 2019 will open the first part of February! Get a jump start on your college experience before classes even begin! Inbound is a program for Juniata’s first-year students – freshmen, transfer students, and incoming international students. 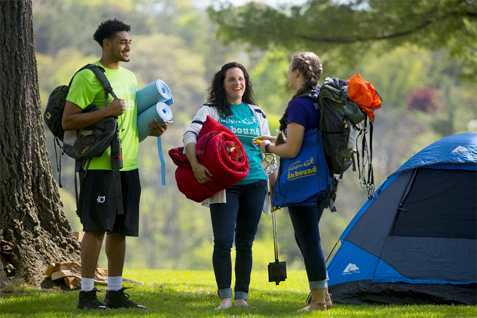 A mix of large group activities and small group retreats allow participants to meet their classmates, get to know upperclassmen, and become acclimated to campus and the surrounding area without any homework interruptions. With so many retreat themes, there is something for everyone! There is no additional cost for attending Inbound! Browse our website for more program information, retreat options, and online registration. All new students are expected to participate in Inbound unless they are a member of a Fall Sport Athleitc Team.